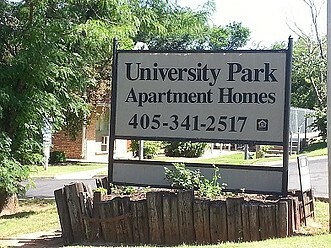 Welcome to University Park where you will find a beautiful and spacious one bedroom apartment home waiting for you! Our One Bedroom Apartment Homes are spacious and open with incredible counter space for you to enjoy in your large kitchen. You will love our unique features such as built in computer desk and built in dressers! We are within walking distance to Fink Park which is 7 acres of beautifully landscaped walking trails and picnic areas where you can grill. We are minutes from the Edmond Historical Museum as well where they feature exhibits from across the nation along with numerous activities that you can enjoy. Shopping and dining opportunities are great when you live at University Park! Enjoy our charming community with gorgeous lush landscaping surrounding you! Our one bedrooms are extremely spacious, open and inviting. Our extra large closets are a fantastic feature in addition to your large open kitchen area with great counter and cupboard space. Perfect for entertaining, if you enjoy cooking and more!